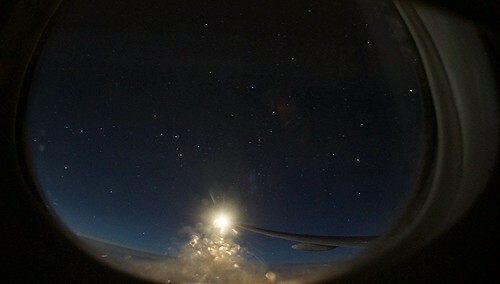 On our flights between O’Hare and Narita I’d hoped to get something like Alessandro Merga’s view of the Milky Way, but my plane window long exposures turned out sadly less impressive. 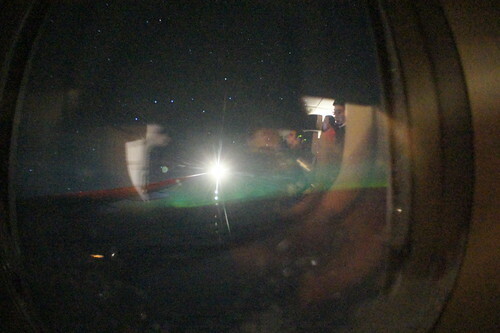 I did catch some faint auroras on the westbound flight, though. 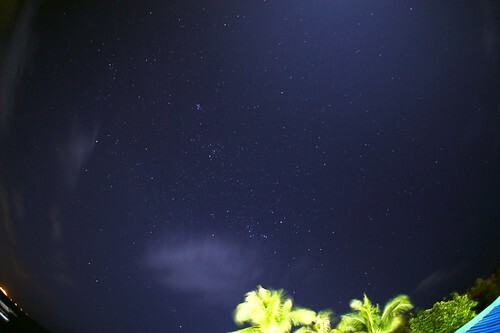 The night sky in Puerto Galera, Philippines was mostly cloudy, but the one clear night we had made for some good star photography, stymied just a bit by a full moon and bright resort lights. 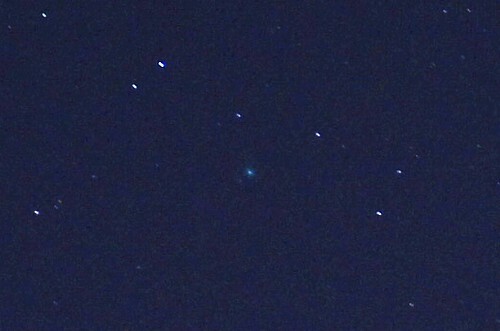 On January 10th I was able to capture Comet Lovejoy (C/2014 Q2), visible as a fuzzy green smear just barely shining through DC area light pollution. 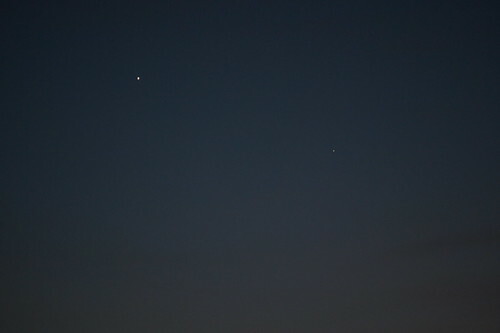 A week later I captured Venus and Mercury in the winter twilight. I’d never actually seen the planet Mercury before; it was much fainter than I had expected. All photos shot with a first-gen Sony NEX3.